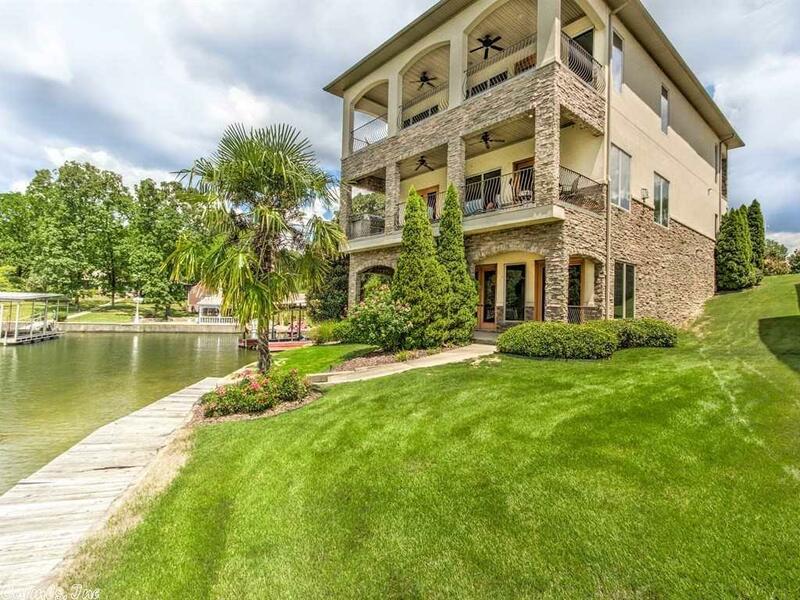 THE BEST OF LAKE LIFE CAN BE YOURS in this fantastic 4 bedroom 3.5 bath beauty in a coveted small "boutique" development tucked away on Lake Hamilton. Only 5 other like high end quality homes in this private culdesac on the lake's edge. LOW MAINTENANCE EASY LIVING with all the luxurious touches! Granite, exceptional high end appliances, stone, ELEVATOR, gas fireplace, 2 covered balconies. OUTDOOR KITCHEN for great entertaining, tankless H2O, high ceilings, breathtaking master suite, COVERED BOAT DOCK, POOL!